It’s the best thing about pregnancy. I’m talking about finally feeling that little bundle of joy start doing jumping jacks in your belly. As someone who had a pretty rough pregnancy, even I get a little nostalgic thinking about those quiet moments of lying in bed, watching my belly dance. It is, without a doubt, magical. So – when should you start feeling junior? It might feel like a goldfish swimming in your belly, popcorn popping, or even a little poke; you can expect to feel your baby for the first time sometime between 16 and 25 weeks. 25 weeks may seem a bit late, but a lot of things will affect your ability to feel those baby kicks – whether you’re a first time mom, the baby’s positioning, etc. Don’t fret if you’ve hit 16 weeks and you’ve felt nada – there is a large range of normal here! Once you feel that special little baby wiggling around in there, you’ll become hyper-aware and try to feel them all of the time. Thing is – even once you’ve felt your baby for the first time, it doesn’t mean that you will feel him or her all of the time, or even every day. As the weeks continue, you can expect to feel more, but don’t worry if little babe skips a day or two in the beginning. When Can Daddy Feel the Baby? Ok, Dad’s jealous – tell him to cool his heels. It may take a bit longer for him to feel any movement outside of your belly. Though, for what it’s worth, my husband felt our daughter for the first time the same week I started feeling her at all, so it totally varies from woman to woman. Usually by 28 weeks or so, you are feeling your baby moving around several times a day. You may feel different kinds of movement too, like kicks/jabs and whole body rolls. You’ll probably be able to see this movement too, which may scare young children (I have to admit, it can look a little freaky). You may be able to tell when your baby is asleep, from lack of movement, and even learn their schedule, which may be quite different from yours – my daughter always enjoyed her 3am disco party. You may have heard that baby doesn’t move as much as you get closer to your due date. You should still be feeling your baby often, but the movement will be different, since he or she is starting to run out of room in there. Less jumping jacks, more pushing and stretching. There was nothing more frightening to me while I was pregnant than the prospect of stillbirth. Doing kick counts gave me a huge peace of mind! What are kick counts, you say? 1. Pick a time of day that your youngster likes to party (I did them about an hour before bed). 2. A snack or cold water can help get baby moving – I’ve heard orange juice is especially effective. 3. I’d lay down in a quiet room and concentrate on my belly. I used an app on my iPad to record the kicks. Count any kind of movement – flutters, kicks, or rolls – but don’t count hiccups. 4. I’d keep counting until I got to 10 movements. Sometimes it only took 1-3 minutes, sometimes it took 15 minutes. The general recommendation is that you should get 10 movements in 2 hours. Depending on your pediatrician’s advice, you may want to either try again later if you don’t get 10 movements in 2 hours, or call your doctor. 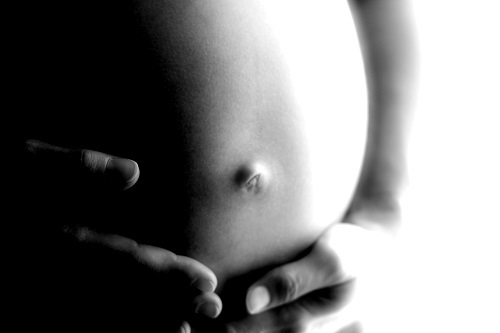 Additionally, recording fetal movement can also help you recognize trends in your baby’s movement. Should you see a downward trend in movement (it is taking longer and longer for you to get to 10 kicks over a couple of days), you should call your doctor and let them know. Kick counts are a wonderful way to check in with your baby! So, to the preggie ladies out there, the ones whose feet ache, who have to pee every 5 minutes, who can barely fit in their cars anymore (did anyone else have to adjust their steering wheel? Bueller?) – I have this to say. Cherish those sweet moments when you feel your baby move. You’ll miss it, I guarantee it.